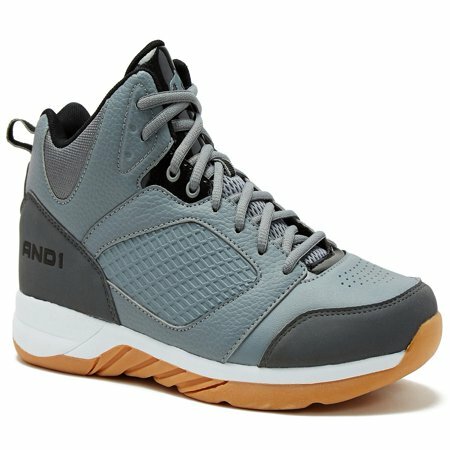 Designed with off court versatility in mind, the And1 Men’s Capital 2.0 modernizes this old school look with comfort to match. The synthetic upper delivers premium secure support and durability. By combining a sport-inspired structure, this multi-purpose shoe keeps your athlete’s style game in check. I bought these AND1 Men's Capital 2.0 Athletic Shoes for my 13 year old son. He really likes them. He says that they are really comfortable. He wears them as his everyday shoe, and they hold up well. They are well made to hold up to a 13 year old active boy. I purchased the same pair for him last year because he likes them so much. OK. THE SHOES. ARE. GOOD. WHO DONT. LIKE THE. NBA. RIGHT. AND. YOU. GET TO PUT ON. WHAT. YOUR FAVORITE. PLAYER ON YOUR. WEARS. I'M A. 76ERS. FAN. Good value for the price. My adult son now has me purchase him a pair of these every month for him. Although they rarely last more than more than 6 weeks with his many miles it's still more bang for the buck than wasting $80. a month. Honestly, The key to getting good wear from cheaper shoes is to have a good variety. I bought 4 pair shoes for my hubby under $60.00. They'll last a good while because he's not wearing the same pair over and over. So they last longer. No complaints. Kids are harder on shoes so buy 2 pair at a time if they are rough with them. Horrible!! Bought these for my son for basketball just to wear until his to come in. Mind you I realize these are not made with the same quality as the higher end shoes he just needed them for 4 or 5 games. He wore them for a total of 2 games and the entire sole separated from the shoe during his game! You can see in the pics it barely has any glue on it. Never again! Horrible product. Have bought 3 pairs(different styles) all 3 have done the same thing. After about a month or 2 of use each pair started to rip at the bottom. No extreme use only wore to work(family Dollar) and home . Each pair has separated at either the front or the back of the shoe and now are practically unwearable. Great price because its put together horribly. 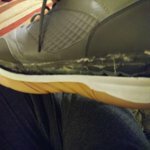 Had these for 3 months before the adhesive failed and the sole separated from the upper ! May be fine if you don't wear them out doors .